Greetings to all Shire & Osprey Readers! Though we are sister publishers and share a cosy Oxfordshire bunker, sometimes it seems that the interests of Osprey and Shire (and, indeed, the newly-recruited Old House Books & Maps) couldn’t be further apart, with Buttons at one extreme and The SAS Ultimate Guide to Combat at the other. However, deep down we are kindred historical spirits, a fact demonstrated by the ever-expanding range of Shire titles that look at the social history, nostalgia and collectibles side of Britain's military heritage. 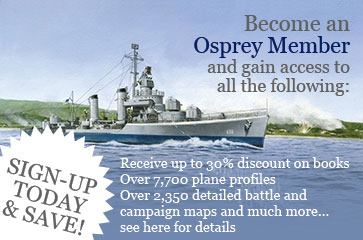 Explore the books below for some fascinating and quirky aspects of military history to complement the war-iness of the Osprey catalogue!